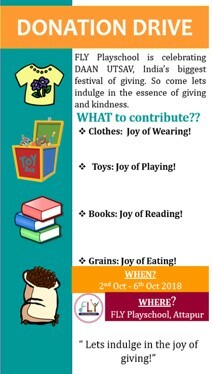 FLY Playschool is organizing a donation drive for Books, clothes, toys and grains. We are also planning to host the donation zones for these in kind donations. We have identified a few orphanages and Aaganwadi schools where these will be distributed.